Casa "il Pino" in the Migliarino Natural Park, near the sea. 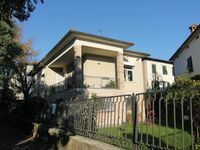 Property 10: Casa "il Pino" in the Migliarino Natural Park, near the sea. Charming Rustico with private pool. Extensive grounds. Property 11: Charming Rustico with private pool. Extensive grounds. BEPPE ORTHE depandance of new construction with swimming pool. Property 29: BEPPE ORTHE depandance of new construction with swimming pool. Charming house In Medieval Village + Private garden, 5 min walk to village. Property 31: Charming house In Medieval Village + Private garden, 5 min walk to village. This apartment was the best place we stayed at in Italy, and might be the nicest place we have ever stayed at for VRBO. Many times you temper your expectations for a stay, this place far exceeded any expectations we had. The kitchen is huge, it looks brand new, and has a beautiful rustic kitchen table that can possibly serve 10 people. We were not expecting a kitchen of this size in an apartment. We had breakfasts and dinners here and only ate out for lunch. The whole apartment is bright and cheery and looks as if it has been completed gutted and remodeled over the last two years. The apartment is located on the northeast side of the old walled city. It is within easy walking distance of two of the entry gates. The neighborhood is quiet, there is a beautiful garden just outside the apartment's entrance. You could not ask for a nicer place to stay or two nicer people who own it. Lucca is wonderful, in retrospect we should have stayed here longer as it was so relaxing. Walking on the walls of the old city, sitting and having an espresso with some amazing delectable pastry, having a late lunch and not being rushed to leave; this is Italy at its best.